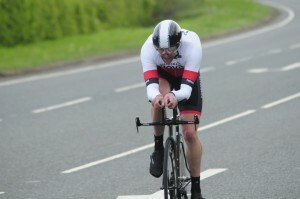 On Saturday 16 May Harrogate Nova’s John Tiffany will take on World Time Trial Champion Sir Bradley Wiggins. 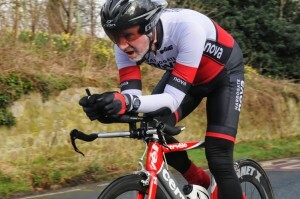 Both men are taking part in the City Road Club 10 mile TT being held on the V718 course near Hull. Wiggins is targeting an incredible sub 17-minute 10 seconds time as part preparations for his attempt on the UCI World Hour Record in June. 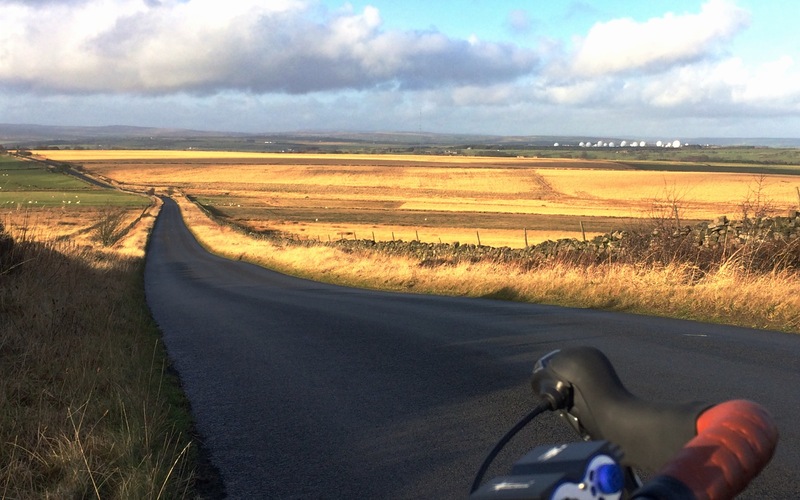 The current national competition record over 10 miles is 17:20, set by Alex Dowsett in 2014. 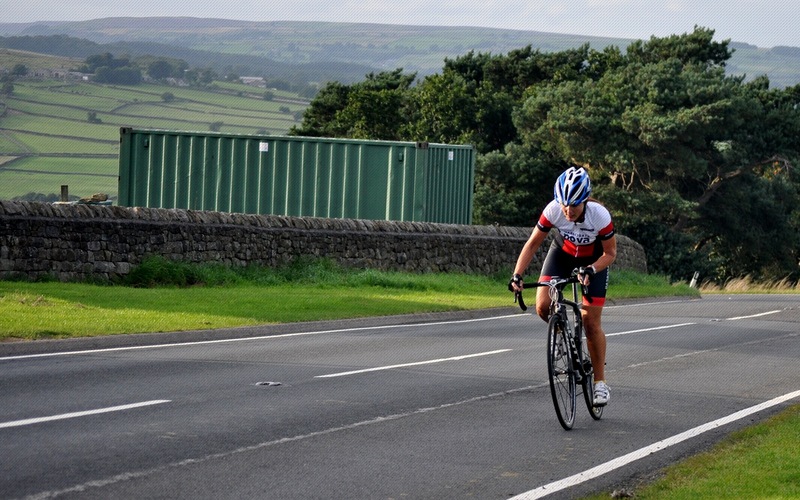 One hundred and fifty riders are taking part in the event, which is designed to help slower riders record a good time on the notoriously fast course. 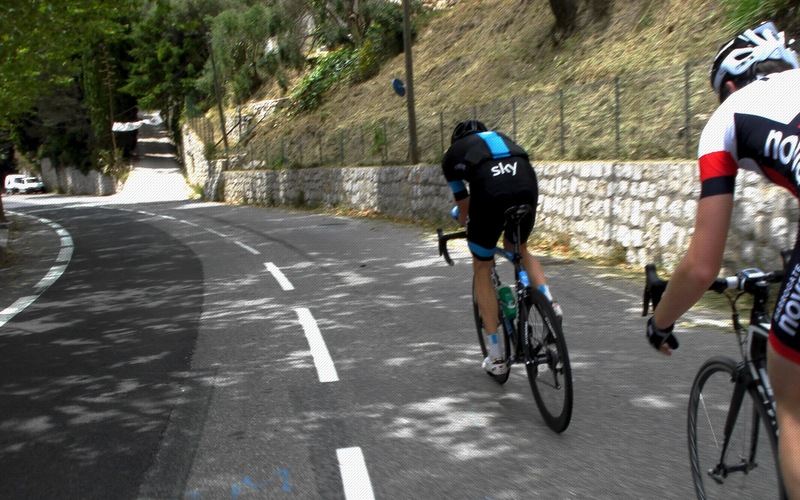 With riders setting off at one minute intervals, Tiffany, 72, starts seven minutes before Wiggins. Talking before the event he joked “If I match my personal best and Wiggins equals the competition record, I’ll be crossing the finish line just a few seconds before him. Either way, hopefully I’ll have a grandstand view of him in full flight.” Good luck John! It was a family affair on a cold and windy Wednesday evening, with husband and wife Al and Corrine Mitchell both producing excellent rides. The heavy rain of the morning finally stopped at around 4pm, leaving the forty-eight riders to contend with a damp course with some areas of standing water and gusting winds. Even with the tough conditions, sixteen early season personal best times were recorded on the night. In the ladies event, with last week’s winner Jess Bacon on event volunteer duties, Nova’s Corrine Mitchell recorded a time of 25:39 to take the win on the ten mile Arkendale-Walshford-Arkendale course (V212). 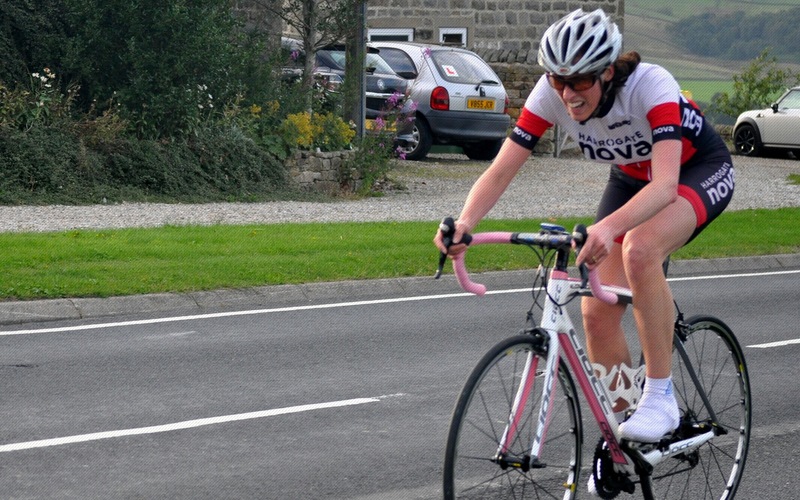 Corrine’s great ride also set a new lady veteran course record and knocked over three and a half minutes off the time she recorded on her last early season visit in 2012. Second place was taken by Ele Haresign with 26:09 and Alison Sarmiento was third with 26:22. 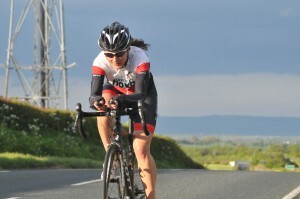 TT novice Sarah Cave was fourth with 31:28. In the men’s event, Tim Jarvis was the first rider home and his time of 23:38 was good enough for 12th place overall and highest placed Vet-50. 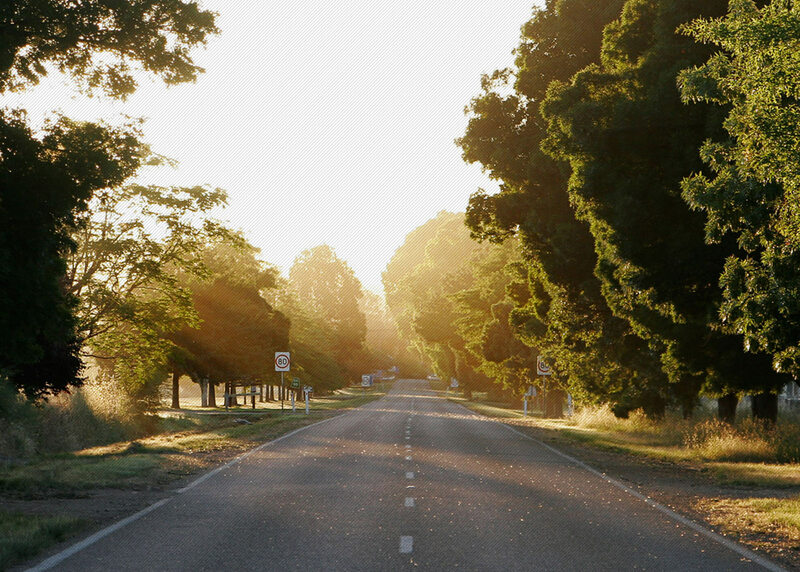 Last week’s winner Nova’s Duncan Mullier produced another solid ride to take top honours in 21:51. However, the ride of the night was undoubtedly Al Mitchell’s storming 22:29 to take second place. More than a minute quicker than his previous best for the course, it was good enough to move last week’s runner up Julian Varley, Prologue Racing Team, down to third with 22:33. Julian himself set a new early season best by over a minute and a half. Performance Coaching’s Pete Watson (22:47) and Nova’s Simon Cave (22:52) completed the top five. 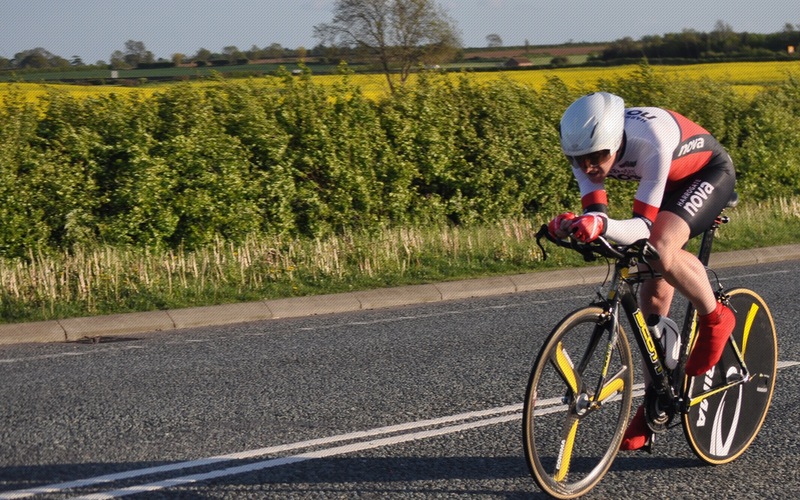 Walter Busuttil produced the best male PB on the night, knocking exactly two minutes off his time to record 25:01 Walter Wilkinson was the fastest Vet-70 with 25:04 and Richard Bellerby the quickest Vet-60 with 26:44. 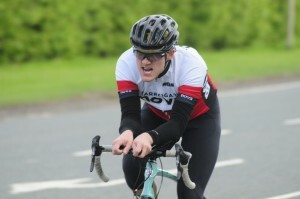 Ollie Bevis was the best placed of the riders on non-specialist machines, recording an excellent 24:43. In open time trials, Duncan Mullier travelled to Etwall, Derbyshire, to take part in the South Pennine RC 25 mile TT. Noted as a fast course, unfortunately there was no PB for Duncan who still recorded a very respectable 52:52. 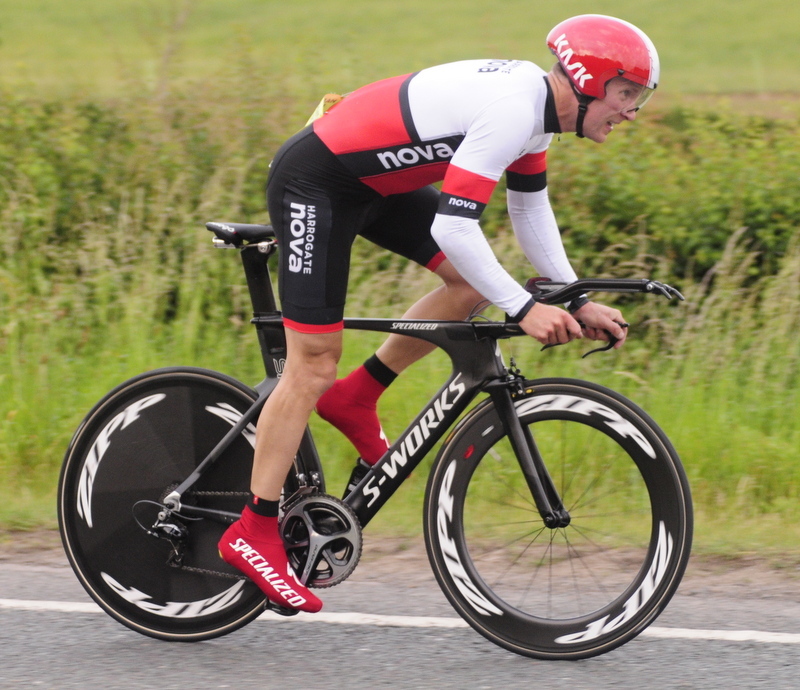 Matt Bottrill (drag2zero) won the event with an astonishing 47:31. Richard Hamilton, returning to form from injury, took part in the Dukinfield CC 50 mile TT in Cheshire, recording a commendable top ten time of 1:57:38 behind winner Andrew Wilkinson (Port Sunlight Wheelers) with a fast 1:48:43. Closer to home, Al Mitchell and Walter Wilkinson raced in the Drighlington BC 25 mile TT on the Topcliffe-South Kilvington-Topcliffe course (V236/1). Al was placed 15th with 55:03 and Walter 40th (first Vet-70) with 59:26. 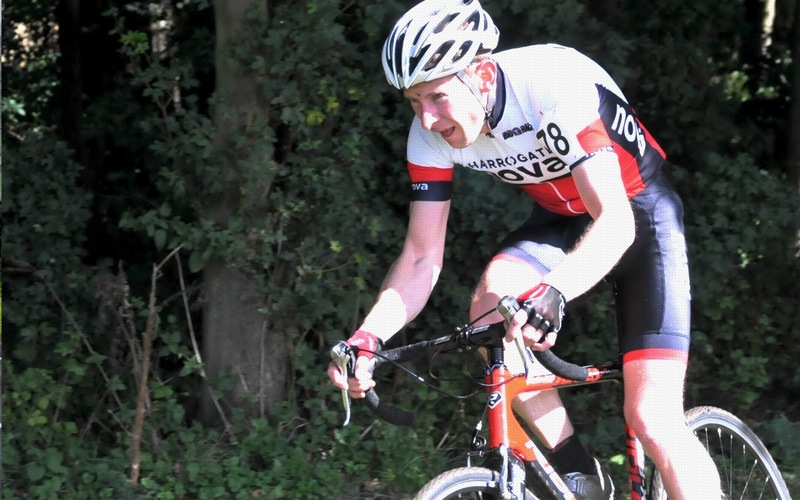 In a day of quick times, Team Swift’s Alastair Wareham made the most of the fast return leg to win with 51:52. The inaugural club social ride took place in the sunshine on Sunday morning. Organised by Fran Varley, with Ted and Alison Sarmiento helping to keep the pace, sixteen club members enjoyed a relaxed ride of 40 miles around the flat(ish) roads of Knaresborough, Arkendale, Great Ouseburn, Boroughbridge, Skelton, Ripon, Bishop Monkton, Copgrove and back to Harrogate. 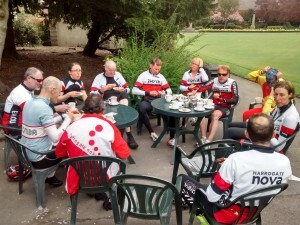 Cakes were also enjoyed en route with a café stop in Ripon. 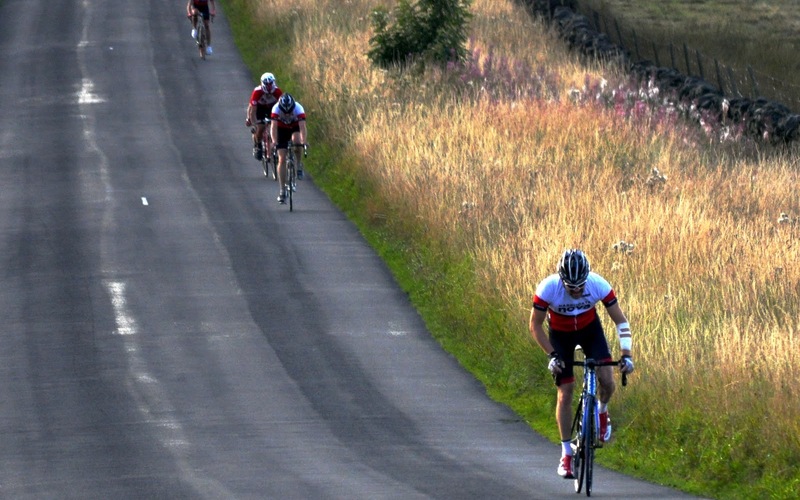 Details of the June social ride will be posted in the Club Ride section of the Forum.